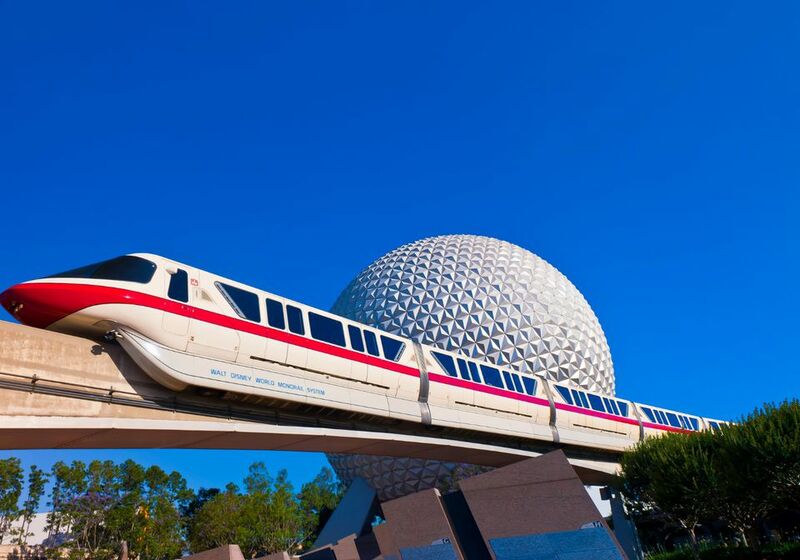 One of the very best perks of staying at a Disney World Resort Hotel is the many transportation options available. When choosing the right Disney hotel for your vacation, you should take into consideration price, amenities, location, and convenience, which includes the various available transportation options. Before booking your Disney World vacation, think about the theme parks and other attractions where you plan to spend the most time, then look for a hotel with convenient access. Every Disney World Resort Hotel offers free bus transportation to each of Disney World's four theme parks, both water parks, and Disney Springs, a vibrant dining and shopping district. Buses are air conditioned and operate on continual loops from each park's opening time to closing time, so the time you will wait depends on how recently the last bus left. Keep in mind that Disney World is a very big place, about the size of San Francisco. The time it takes to get from your hotel to your destination depends on proximity, and bus rides can last anywhere from a few minutes to about half an hour. Originally conceived as a public transport for the future, the monorail has three separate beams. The first connects three resorts (Disney's Grand Floridian Resort & Spa, Disney's Contemporary Resort, and Disney's Polynesian Village Resort) with the Magic Kingdom park. Another beam takes you to the Transportation and Ticket Center, where you can transfer to a third line that goes to Epcot. There is boat service available between many hotels and either Magic Kingdom or Epcot and Hollywood Studios. Most routes run on 15- to 30-minute intervals. Coming soon, a whole new complimentary transportation system called Disney Skyliner will give guests a birds-eye view of Walt Disney World Resort from gondolas as they travel between their Disney resort hotels and the Epcot and Hollywood Studios theme parks. Select Disney Skyliner cabins will have iconic Disney characters incorporated into their exterior design to give the appearance that a Disney pal is riding along with guests. The Epcot station will reflect the flavor of the park's European Pavilions, with metal and glass canopies, hand-painted murals and ornamental steel structures that harken back to the early 18th century Art Nouveau style. Disney Skyliner will connect Disney’s Art of Animation Resort, Pop Century Resort, Caribbean Beach Resort, and Disney Riviera Resort (coming 2019) with Disney's Hollywood Studios and Epcot. While there have always been free transportation options to get guests from hotel to park and vice versa, this new service will be a godsend for folks who want to go from park to park or hotel to hotel. Available since July 2017 at Disney’s BoardWalk Resort and Disney’s Yacht & Beach Club Resorts (and soon to expand to other Disney World Resort Hotels), the Minnie Van point-to-point transportation service is a whimsical way to get around in a jiffy. Guests can order a private Disney vehicle right from their smartphone and a Disney Cast Member will drive them wherever they want to go within Walt Disney World Resort. Note that this is an Uber-like ride-hailing service and is not complimentary.